Let it snow in your kitchen with this fun kitchen activity. Fill up the painted glasses with milk. 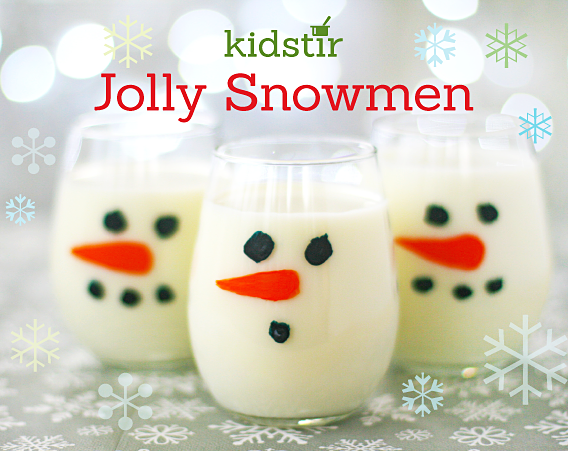 Then serve the Jolly Snowmen for some holiday cheer.